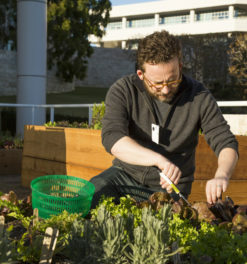 Spring is said to be the most colorful season, but we can’t wait for you to see the Getty Center’s summer garden in full bloom. 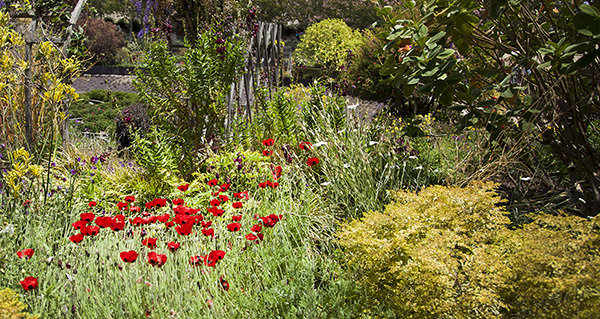 As the summer heats up in June and July, all the delights of a summer garden are yours to experience: tantalizing color, rich textures, shaded pathways, and a flurry of aromas and sounds. While saying goodbye to our gorgeous spring-blooming California poppies isn’t easy, it’s thrilling to see the rainbow of dahlias in our greenhouse getting ready for planting. Expected to grow up to four feet and fill the garden with every color of the rainbow, the dahlias will be stunning. 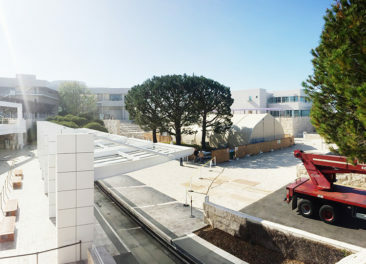 By artist Robert Irwin’s design, the garden beds will be so robust and spilling over with color, texture, and aroma, you won’t be able to see from one path to another. 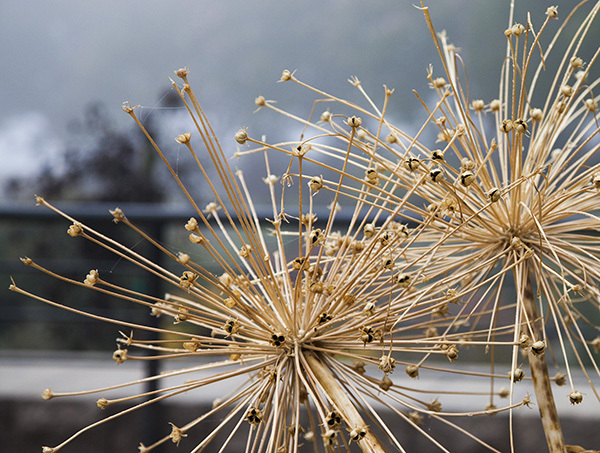 You’ll truly be immersed in the garden as a work of art. 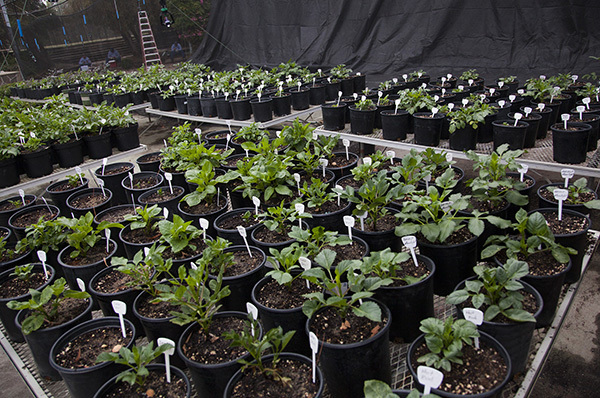 The dahlias are patiently awaiting their planting rotation in the Getty Center nursery. By mid-July, blooms in every color of the rainbow will be exploding from the Central Garden. 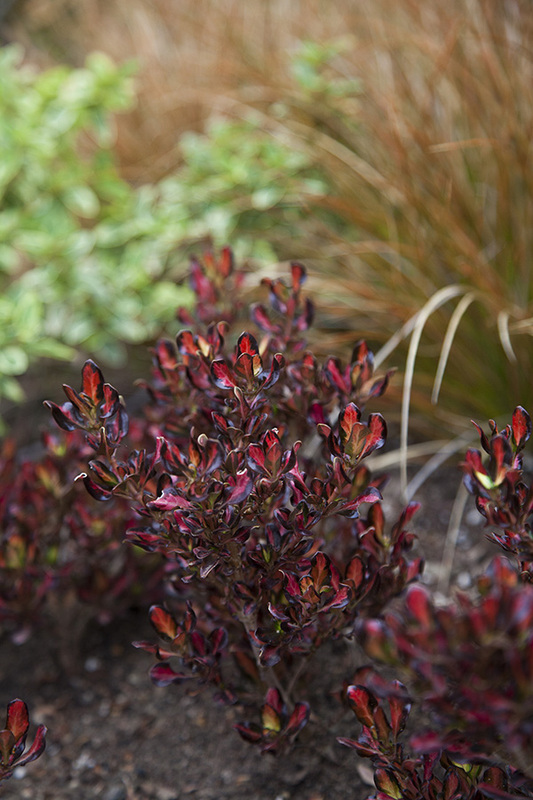 From banana-shaped kangaroo paws to magnetic red sunsets over the Pacific, the garden will be alive with colorful energy. Don’t forget all the varieties of dahlias! 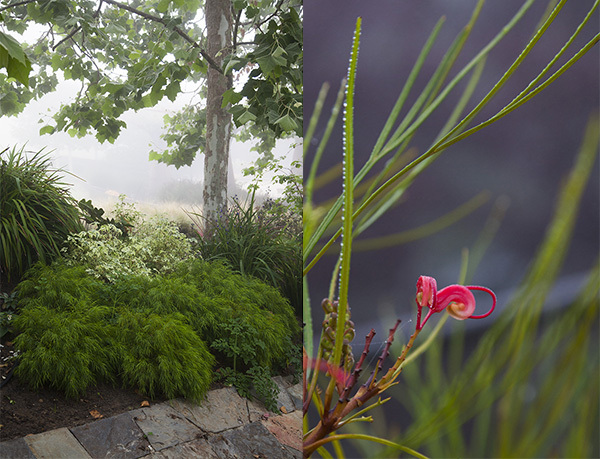 Summer is about bounty, and to build out the richness in the garden, small shrubs such as Casuarina ‘Cousin It’ are planted to provide both green and fullness. Look for other interesting textures that will soon make their appearance, too: the bottlebrush cultivar ‘Little John,’ recognizable by its little curlicue flowers, can found both in containers and down in the Bowl Garden, around the azaleas. And just in time for 4th of July, the affectionately named firework plants—ornamental alliums in the same family as chives and onions—will be bursting with dried spikes and seeds. Early-season bloomers, these amazing plants are left to gracefully weather in the early-summer garden, acting like botanical punctuation marks. 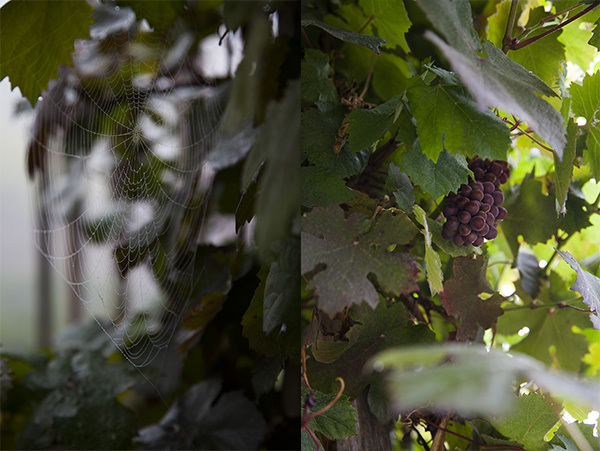 The Getty gardens are full of interesting little details worth your time to stop and observe. 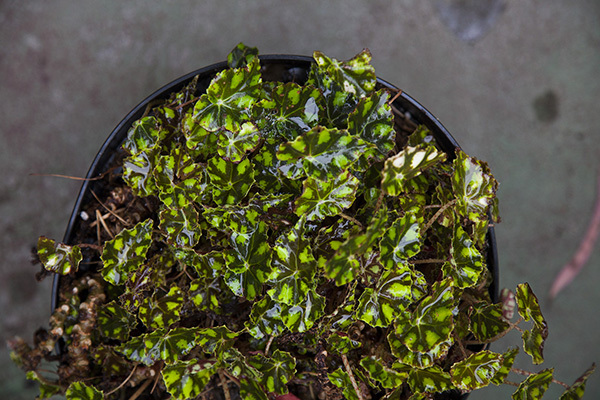 The lime-and-black leaves of the begonia variety shown below look like little frogs ready to spring from their pot. Like a solar lamp, Brazilian angel’s trumpets with their dramatic leaves soak up the sun during the day and buzz with delightful aroma in the evenings. 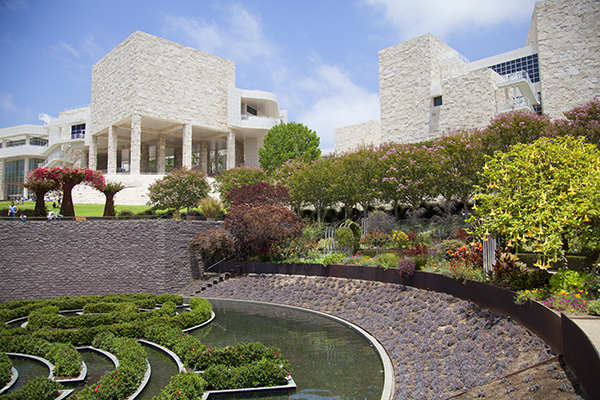 The Getty’s summer evening hours mean you can catch sunset and a whiff of the sun-kissed flowers on an evening garden stroll. And if you look carefully at the grapevine-covered trellis, you might see bunches of purple grapes tucked into the shaded cover. The scene is set! 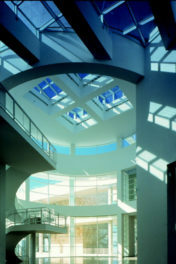 Enjoy an evening stroll, a picnic with a bottle of wine, a sunset, and the aroma and sounds of the garden around you.